Flexibility enhances joint mobility and promotes structural integrity. Help clients to effectively improve range of motion and encourage active movement patterns using the stability ball. This step-by-step Specialist Course amplifies your assessment knowledge and provides a variety of new stretching ideas and strategies for the entire body so that you can safely teach to your clients. You will be able to take individual clients with specific stretching issues through some basic moves and then slowly progress them to intermediate levels. Add these stretching techniques to your client warm-ups and cool-downs. Then recommend that clients use the stretches outside of your training sessions. This Speciality Certificate Credential provides all the tools, exercises and techniques to create a solid flexibility program for clients and deliver quality training. 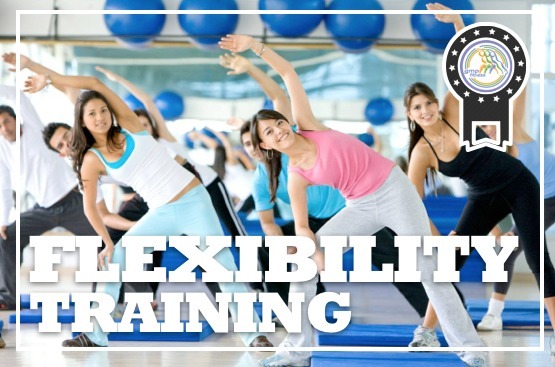 ✓ Discover and learn an entry level understanding of flexibility training. ✓ Amplify assessment knowledge for flexibility for the major muscle groups. ✓ Review stability ball stretching techniques to improve flexibility while improving balance and posture. ✓ Learn safe stretching approaches for many regions within the body. ✓ Understand how to create a full body stretch routine to maximize flexibility. ✓ Learn dynamic flexibility exercises. ✓ Learn stretches for the lower and upper extremities and the torso. ✓ Expand knowledge on beneficial tips to share with clients to increased flexibility. ✓ Discover and learn how to design and develop a flexibility program based on client needs. ✓ Review guidelines when using the stability ball to develop flexibility. ✓ Enhance knowledge on the benefits of using the stability ball to improve flexibility. ✓ Understand the muscles being used and the importance in each stretch. ✓ Provide appropriate instructional cues for proper flexibility techniques. ✓ Learn stretching techniques to improve flexibility while improving balance and posture. ✓ Amplify knowledge on the muscles being used in the flexibility exercises.